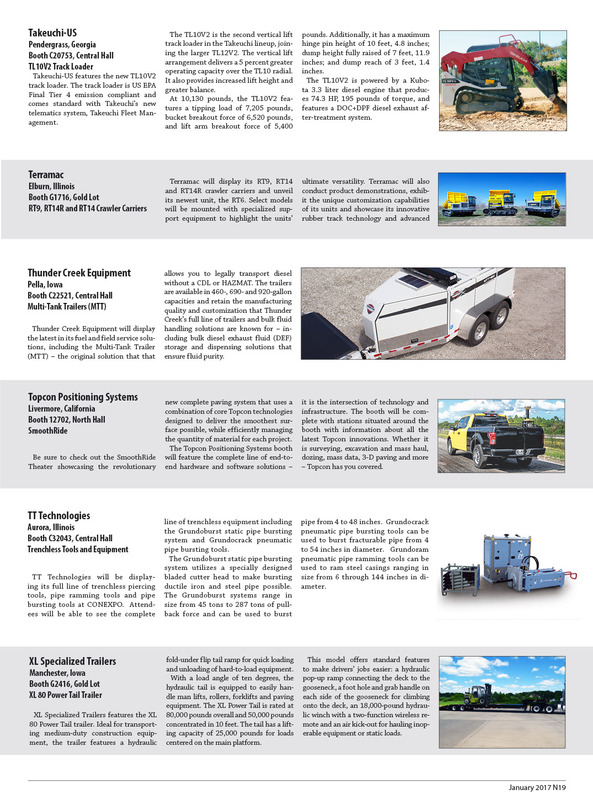 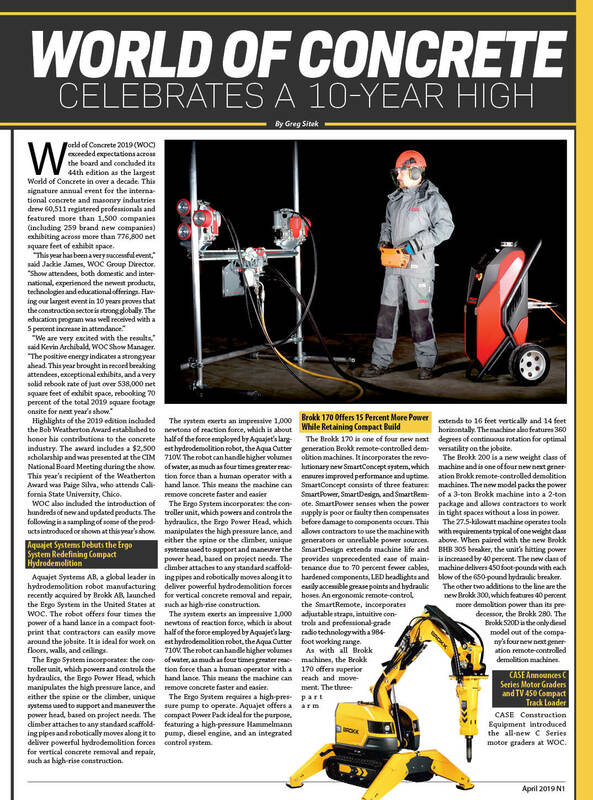 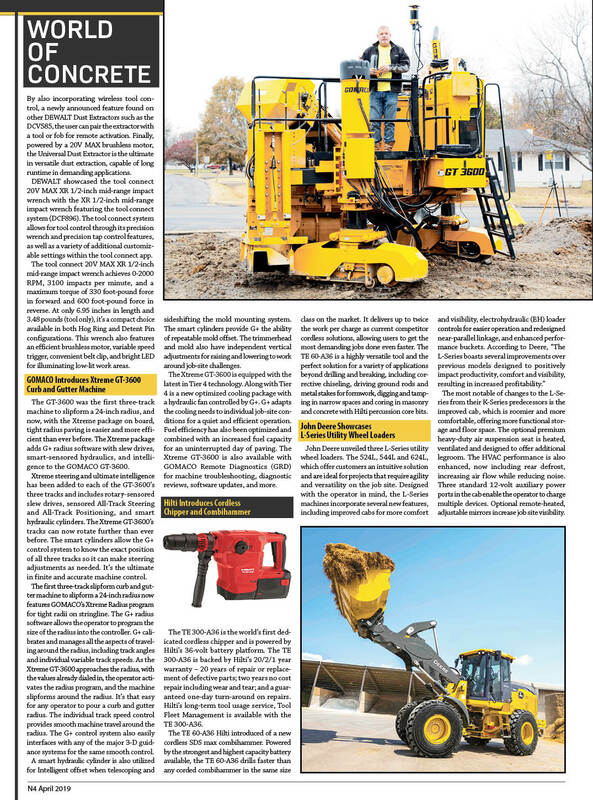 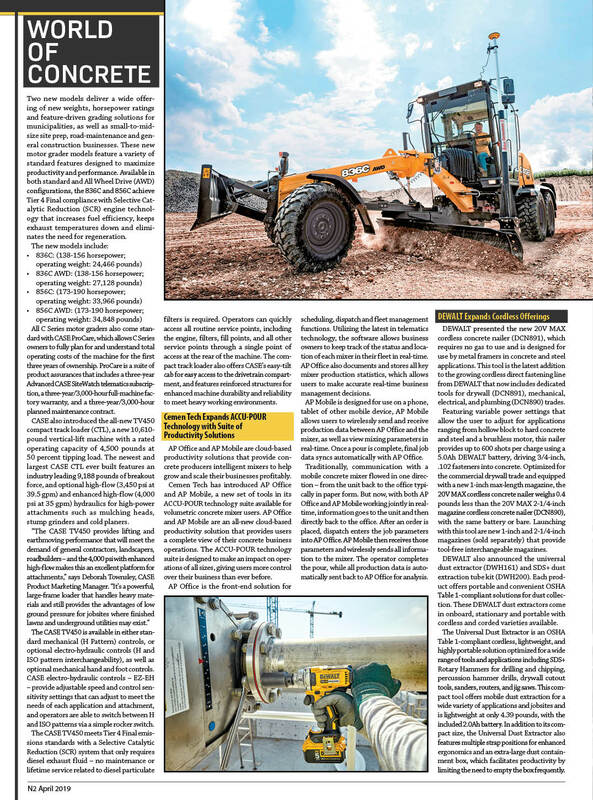 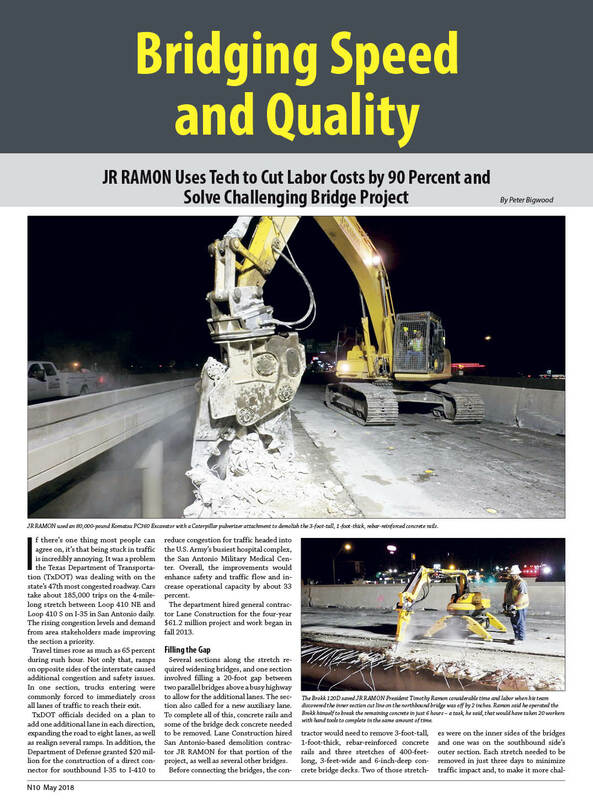 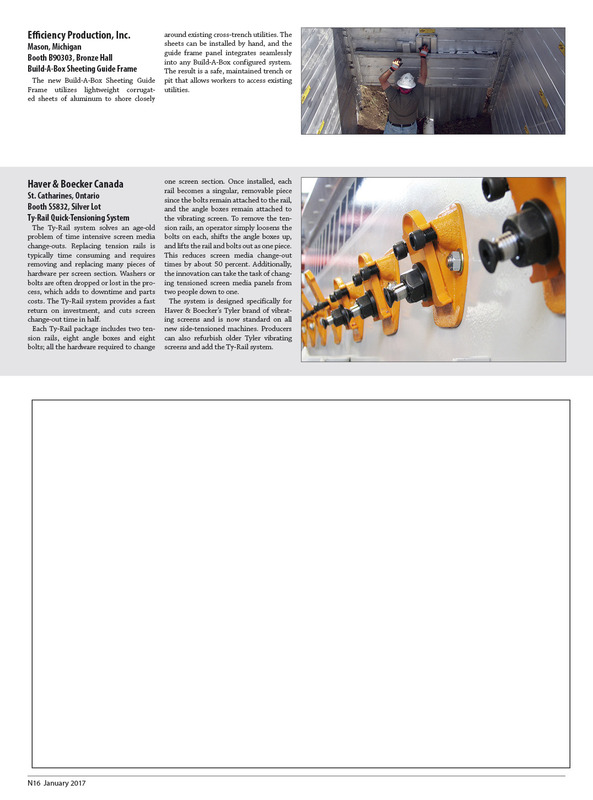 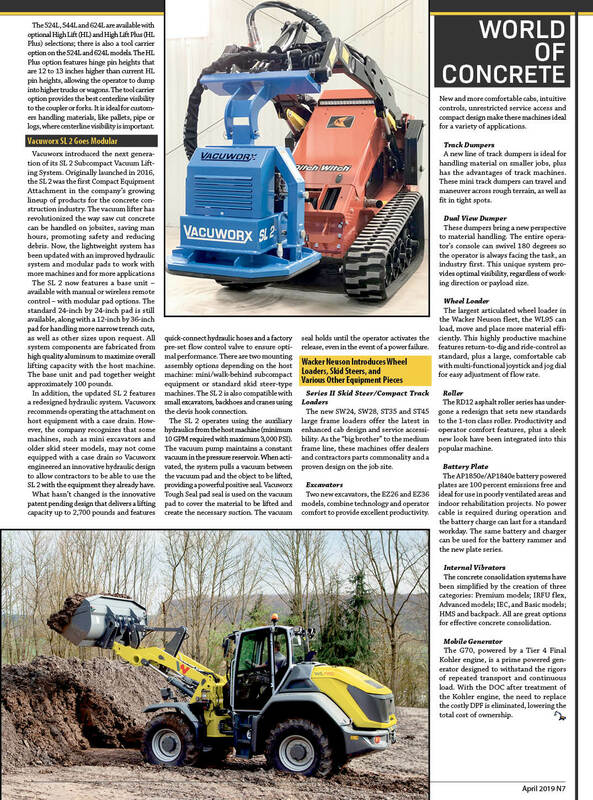 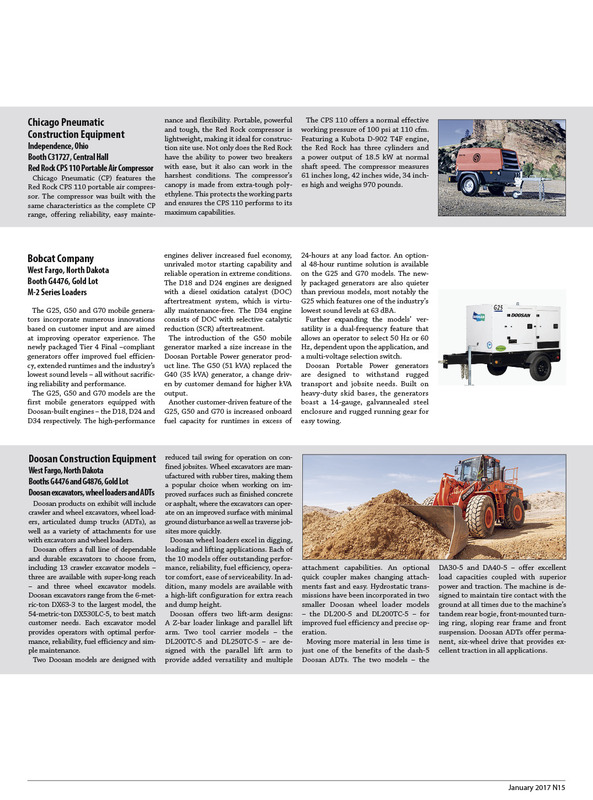 Published on June 16, 2018 in Equipment & Products, Featured Article and National. 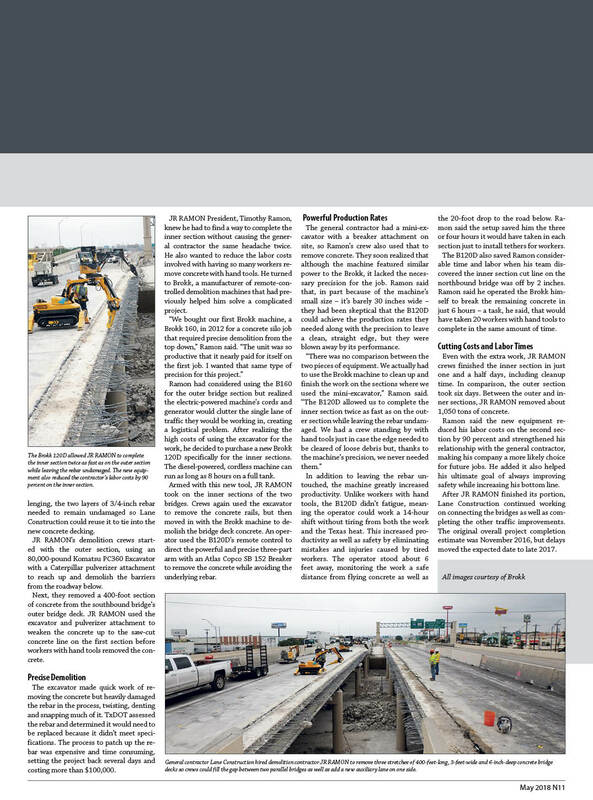 Closed Tags: bridges, Brokk, Brokk 120D, concrete, concrete breaker, construction, construction industry, contractors, Demolition, employment, equipment, hammer, heavy equipment, highways, infrastructure, Interstate Highway System, pavement, roads, safety, Texas Department of Transportation, transportation, TxDot. 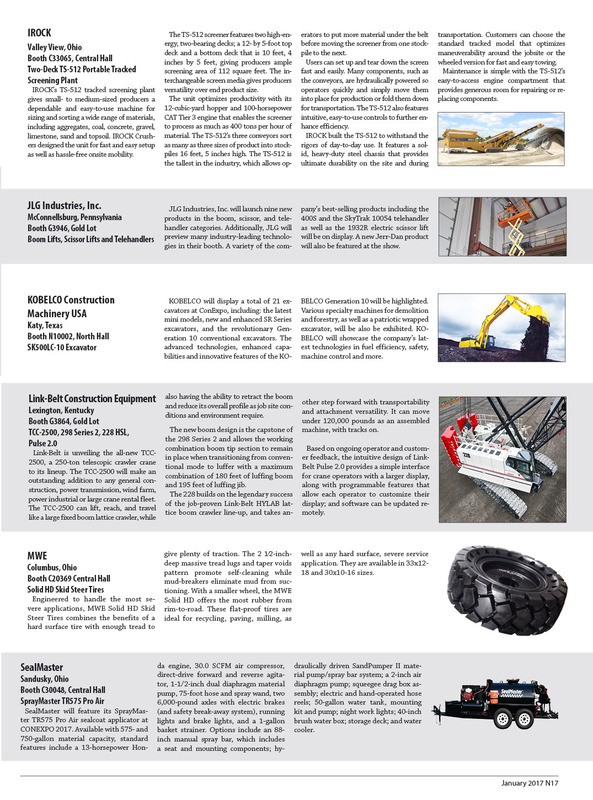 Published on January 28, 2017 in Featured Article, Industry Activities and National. 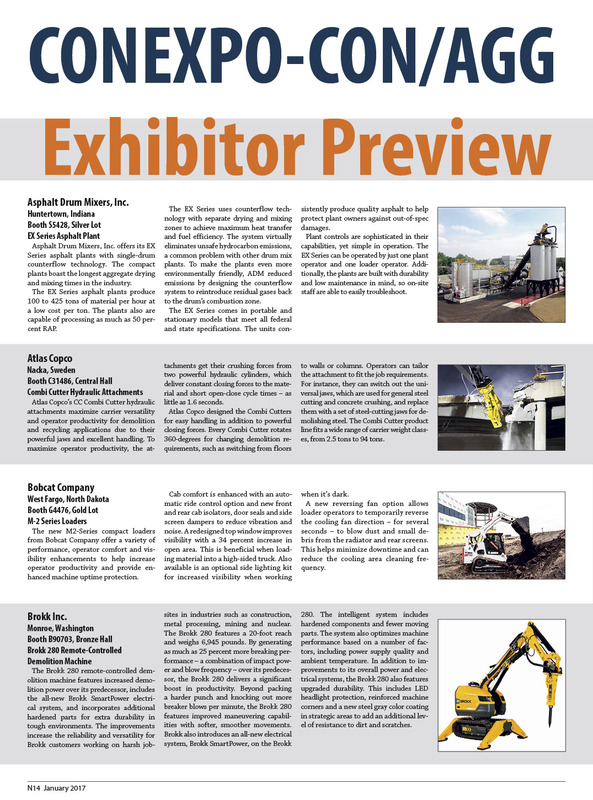 Closed Tags: AEM, ARTBA, Asphalt Drum Mixers, Association of Equipment Manufacturers, Atlas Copco, Bobcat Company, Brokk, Case, Cat, Chicago Pneumatic, concrete, CONEXPO-CON/AGG 2107, construction, construction industry, contractors, Doosan Heavy Equipment, economy, Efficiency Production, equipment, Exhibitors, Haver & Boecker Canada, heavy equipment, infrastructure, IROCK, JLG Industries, KObelco Construction, Link-Belt Construction Equipment, MWE, safety, SealMaster, Takeuchi-US, Terramac, Thunder Creek Equipment, Topcon Positioning Systems, transportation, trucks, TT Technologies, XL Specialized Trailers.